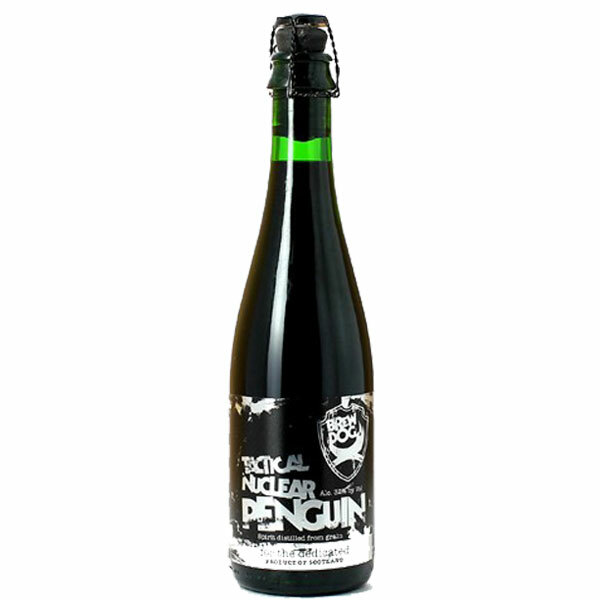 is a beer that pushes the boundaries, Tactical Nuclear Penguin is about taking innovation in beer to a whole new level. It is about achieving something which has never before been done and putting Scotland firmly on the map for progressive, craft beers. 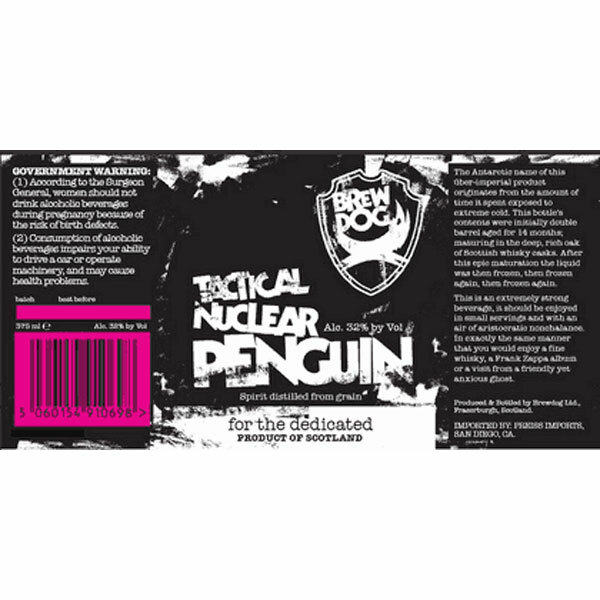 Tactical Nuclear Penguin is bold, irreverent and uncompromising. A beer with a soul and a purpose. A statement of intent. The Antarctic name inducing schizophrenia of this uber-imperial stout originates from the amount of time it spent exposed to extreme cold. Tactical Nuclear Penguin beer began life as a 10% imperial stout 18 months ago. The beer was aged for 8 months in an Isle of Arran whisky cask and 8 months in an Islay cask making it our first double cask aged beer. After an intense 16 months, the final stages took a ground breaking approach by storing the beer at -20 degrees for three weeks to get it to 32%. A warning on the label states: This is an extremely strong beer, it should be enjoyed in small servings and with an air of aristocratic nonchalance. In exactly the same manner that you would enjoy a fine whisky, a Frank Zappa album or a visit from a friendly yet anxious ghost. Tactical Nuclear Penguin is a beer unlike any you have tried before – and you can buy yours here, in our online shop or call in store today!